Love is in the air! While many couples like to go out for big Valentine’s Day meals, I’ve always been one to cook on the love-filled day (lucky for me, Trevor is the same way!). Even before I met Trevor though, I would have my gal-pals over for dinner and make some really tasty food. While I’m not that huge into celebrating V-day itself, food is always a non-negotiable for me. So this year, I decided to make a week full of decadent, heart-bursting recipes for however you chose to celebrate. 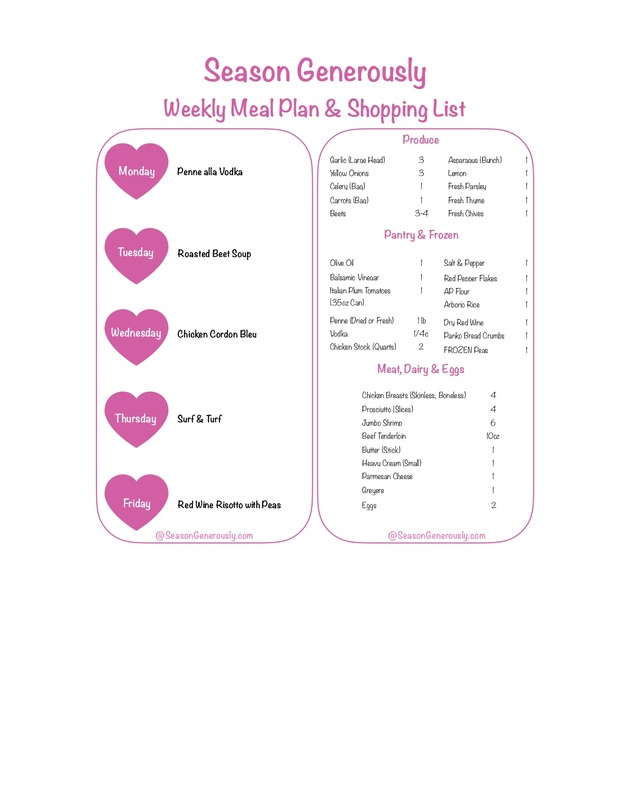 Click here for this weeks ❤ meal plan and shopping list or the picture below!